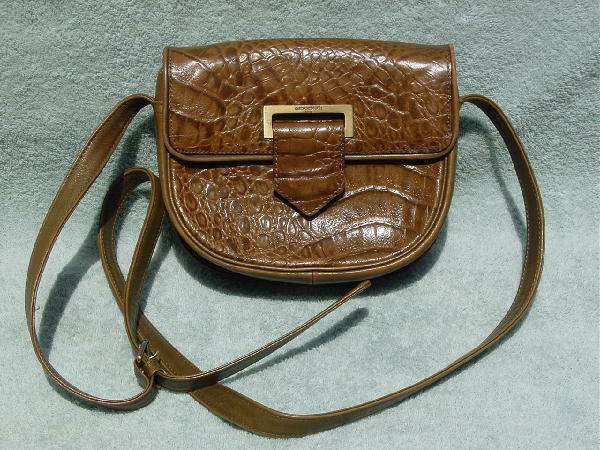 This vintage leather purse is by Ceorcesrech Paris. 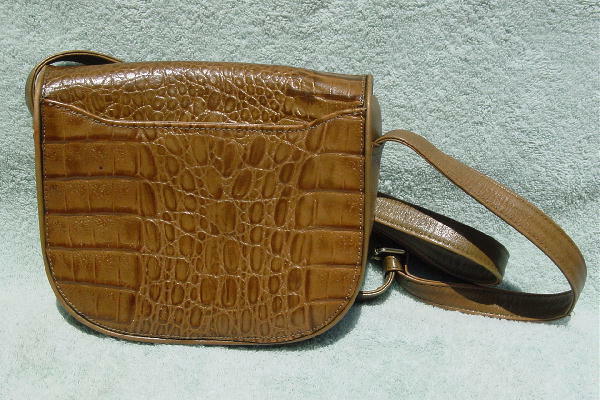 It has a very nice embossed crocodile pattern on the front and back. The sides, bottom, and strap are in a solid medium brown with a touch of khaki. The rest of the purse is in medium and dark brown. It has a 47" long shoulder strap. There is a magnetic snap closure under the front tab. The lining is in a champagne-gray color fabric. 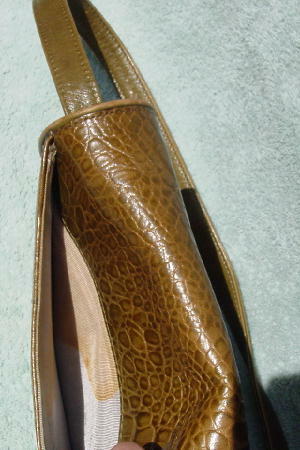 The lining in the interior zippered pocket has a large brownish stain. The back has an outer open compartment with a fbric lining which is also stained. It was used in a movie and a photo shoot with the stained lining.